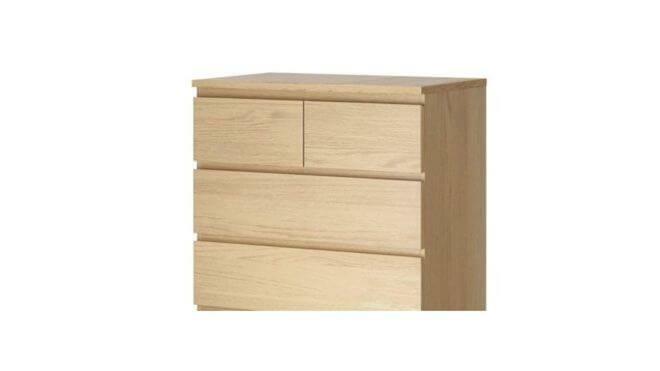 IKEA is facing growing pressure to withdraw a popular range of drawers from sale in the UK. Ikea has announced that it is recalling 29 million Malm chests of drawers in North America after they toppled over and killed three children in the US. The recall, however, does not apply to the UK and Ireland. Nevertheless, Ikea is advising consumers to make sure that their chests of drawers are securely anchored to the wall. A worrying demonstration shows just how easily a set of Ikea drawers can crush a child. The video, made by the US Consumer Product Safety Commission (CPSC), reveals just how easily the furnishings can topple over if they are not anchored securely to walls, posing a threat to children. Tipped-over furniture or television sets kill a US child every two weeks, he said. Two US toddlers died in separate 2014 incidents when Malm chests fell over on them. A 22-month-old boy was killed last year in a similar incident, after IKEA had announced a repair program included a free wall-anchoring kit. None of the furnishings in the fatal incidents had been anchored to the wall. The company says it will offer full refunds or store credit to it’s North American customers who bought one of its dressers, and is also withdrawing the range from its US stores. However outrage has been sparked in the UK after the company stated the same dressers, which cost between £49 and £99, meet legal requirements in Britain and will continue to be sold. Any customer with concerns over their drawers can contact IKEA on 0203 645 0010 to request a free replacement restraint kit.